Goldstar Boats provide underfloor buoyancy as standard in all boats under 6.0M. 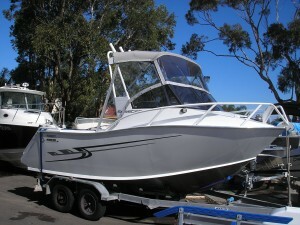 It is an available option for boats over 6.0M. This basic buoyancy underfloor means that even if the boat is completely flooded underfloor, it still floats with the maximum permitted weight onboard. All Goldtsar Boats decks are completely sealed and self draining. 1 listing matched your search. 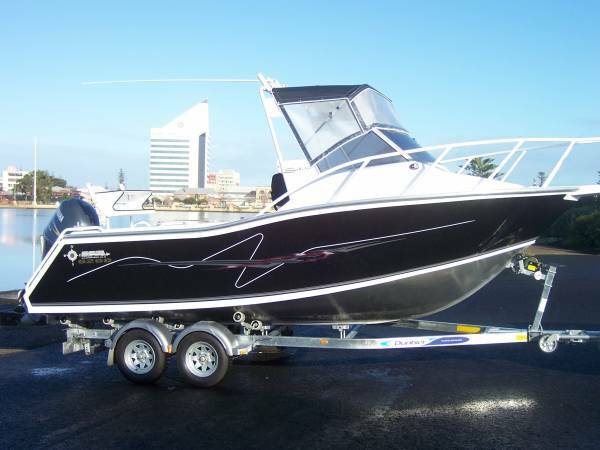 Goldstar 500 Seastar Plate Alloy self draining hull - Alloy excellence with checker plate deck - ride, quality & strength in this perfect size hull. The boat for outside fishing with easy bow access & protectionThe Seastar offers the standard features - Kill tank - Folding rocket launcher - Transom door - Folding dive ladder - Bow Easy bow access with opening hatch with floor step - Bow rails - Fully welded 4mm x 4mm x 4mm 5083 Plate structure.Powered by the the F60 Power Thrust Honda motor with low end "Blast" power band.On the Mackay / Dunbier new skids trailer .From - $47990.00. The last boat you will need to purchase.